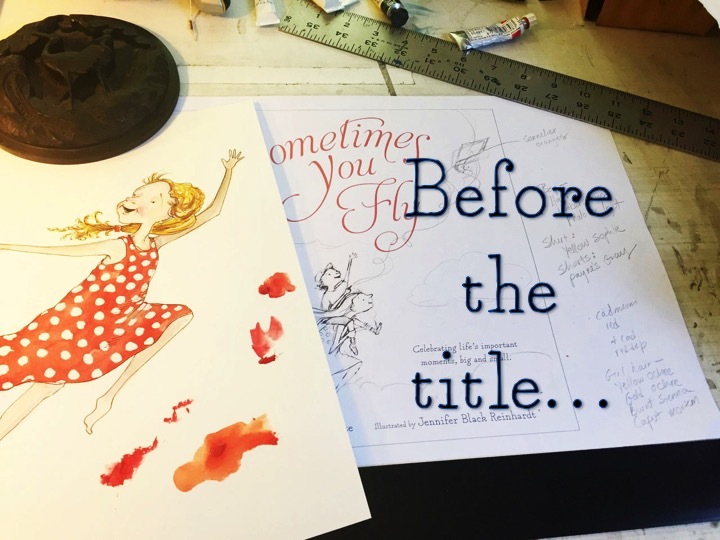 Home Uncategorized How and Why Katherine Applegate and I made SOMETIMES YOU FLY + GiVeAwAY! Some of you may have heard of the author of the recent book I illustrated? Her name is Katherine Applegate. And, friends, this talented Newbery Medalist is as thoughtful and lovely as the books she writes. What an honor and privilege it has been to be a part of Sometimes You Fly, which released from HMH, Clarion on April 3. Katherine has answered a few questions and will tell us about writing this special picture book. Katherine, Where did the idea come from for sometimes you fly? When I do school visits, I’m always struck by how often teachers ask me to tell students that rewriting is part of the writing process. Kids often think they have to do perfect work right from the start. They don’t realize that rewriting IS writing, and that making mistakes is an integral part of learning. 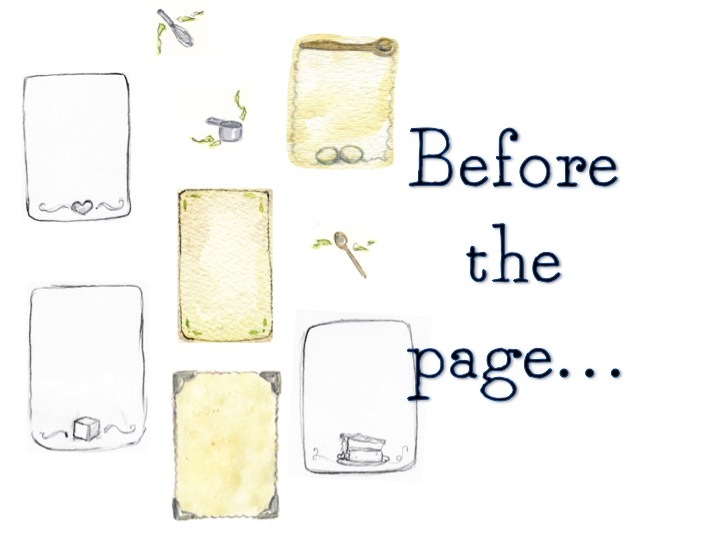 Did you always envision the book in the format that is now, with the before and after pages? 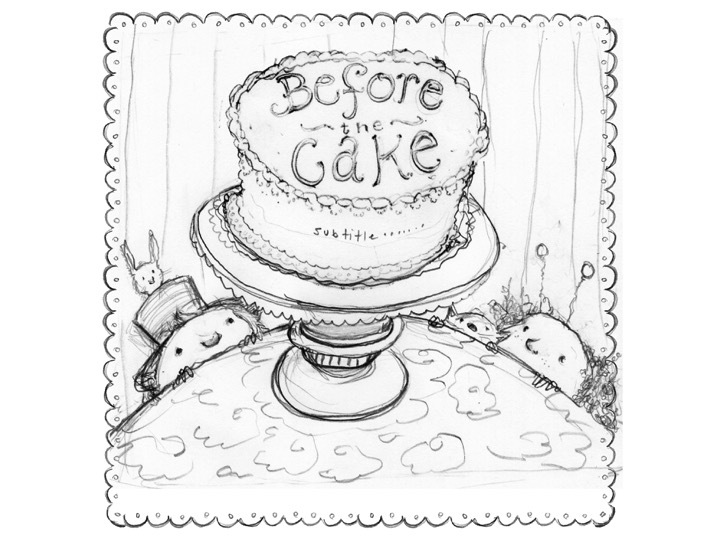 From the start, I had the refrain “Before the cake…” in my head. I’m a lousy cook, so the image of a messy, chaotic kitchen—the “before”—was easy to envision! Naturally, the “before” required an “after,” and that’s how the manuscript started. 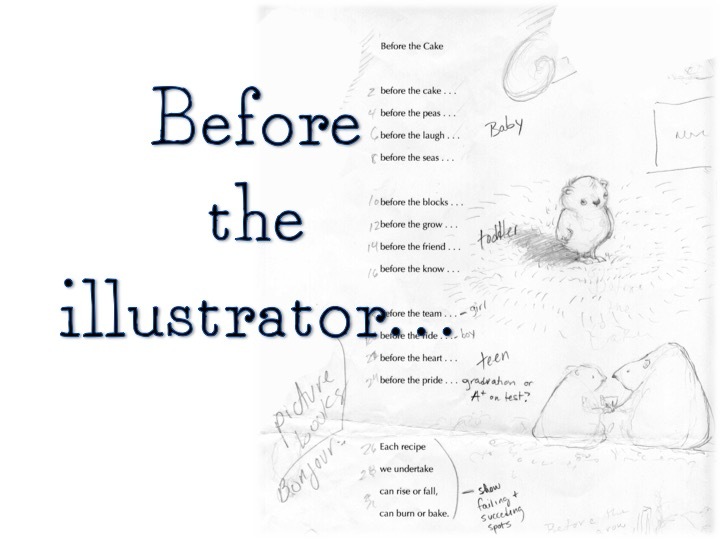 I knew the real work of this book would lie with the illustrator, who would have to make the “before and after” concept work: it’s a book that’s very reliant on the page turn. 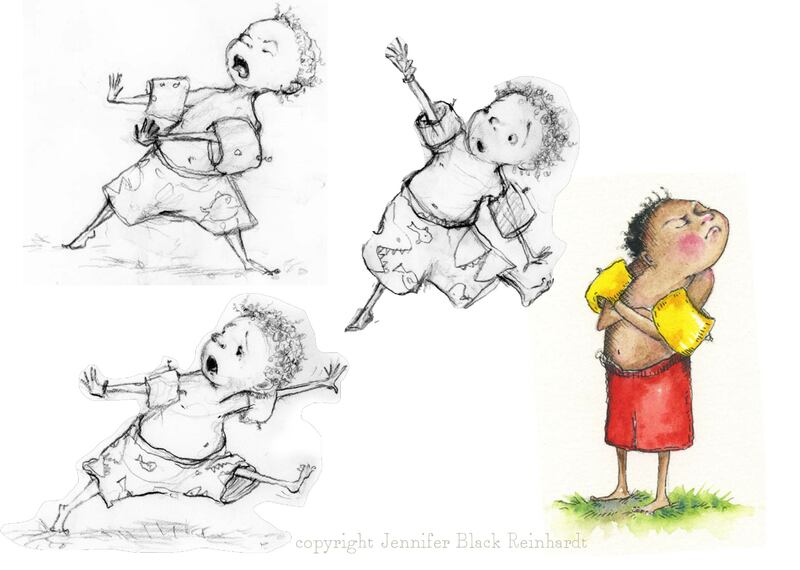 When I first saw Jennifer’s early sketches, I got tears in my eyes. It was such a joy to see her take a handful of words and turn them into beautifully realized scenes, full of comedy and tenderness and poignancy. It was pure magic. What do you hope readers take away from this book? 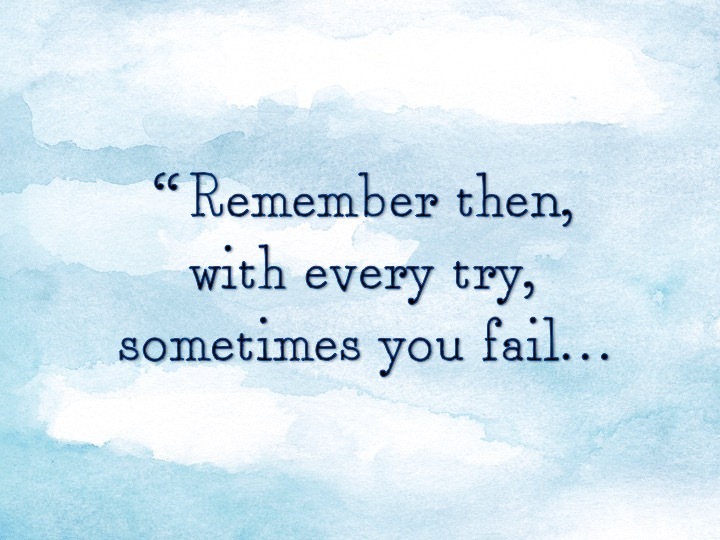 I hope readers remember that it’s ok to fail. More than that — it’s necessary to fail! Failure and heartbreak lead to growth. They’re part of being human. Sometimes we focus so much on milestones that we forget the most important part: the learning that goes into making a big moment happen. It’s important to celebrate that hard work, along with all the love and support from family and friends that made it possible. Life is messy, and full of ups and downs. It’s also magical. The structure and layout of Sometimes You Fly was my biggest challenge as the illustrator. Katherine’s beautiful story is written in sparse prose and celebrates the ups and downs of life’s milestone accomplishments. Each sentence in the beginning of the book starts with the words “before the…” something. The page turn is very, very important in the structure of Sometimes You Fly. My job as the illustrator was to tell the whole story of that character’s journey in one page turn. It needs to be very clear on the before page what particular challenge that character is struggling with, and then equally clear what their achievement is on the ‘after’ page. Mostly by trial and error I stumbled into the layout device of having a vignette (which is a borderless illustration) on the ‘before’ page and a bordered full page illustration on the following page which showed the ‘after’. For many months I offered up borders and colors to connect the two pages and carry through the page turn. Which in the end, we decided it didn’t need to have any borders at all. 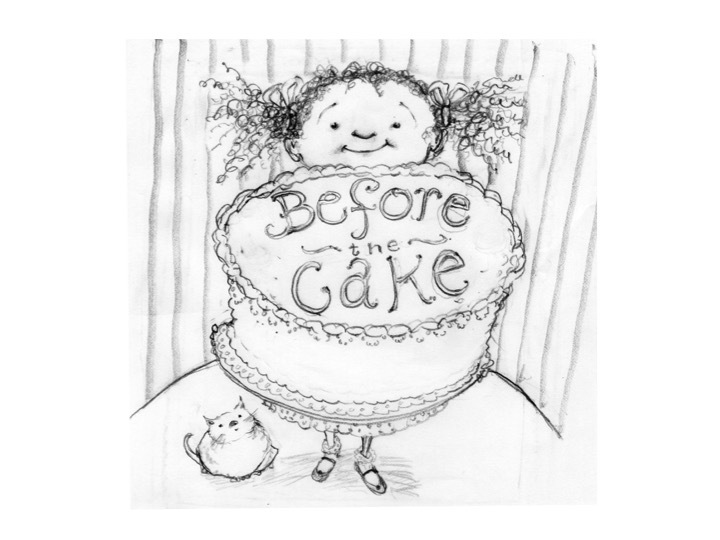 The original title of the book was, “Before the Cake”. It’s not uncommon at all for the title of a book to change along the way, but it’s not so common to have it change it in the 11th hour of production. I was literally finishing my very last piece of artwork (not the last page of the book as I intentionally don’t work in order) I was told that the title had changed and would now be Sometimes You Fly, a change that I was actually very happy to hear. I had done many jacket sketches and none of us ever felt that any were right. 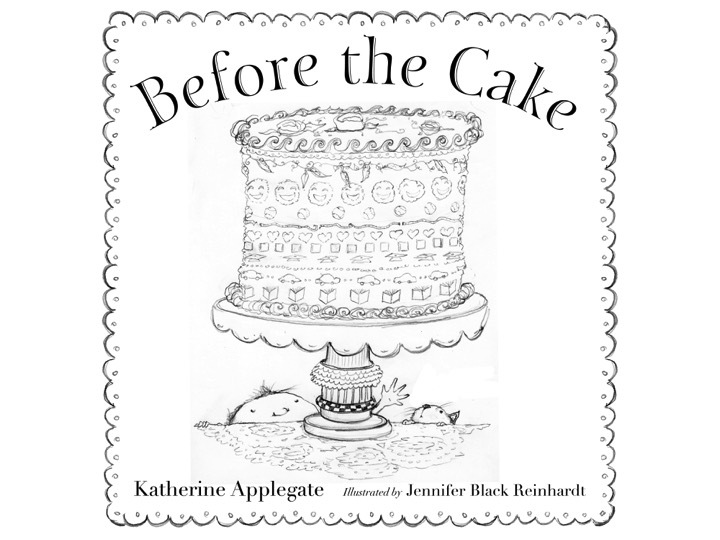 Katherine’s original wording, and the title, referred to the fact that the important things in life happen ‘before the cake’, before the reward. But, as a visual it was almost impossible not to think ‘cookbook’, ‘baking’, or ‘pastry’, and the imagery just didn’t represent the big, beautiful idea of the real meaning of the book. The title changing to “Sometimes You Fly” was much clearer as to what the book was about and brought to mind much lovelier imagery as well. My favorite piece from the book? This poignant funeral scene. I think these are my favorite words in the book and the impact of everything not being easy in life is such a wonderful lesson to pass on. I hope that you like Sometimes You Fly! To celebrate our book’s release please comment below and I’ll pick a name and send you a copy of the book as well as a beautiful art print from the publisher. I’ll announce the winner next month when it’s my turn again (May 15)! 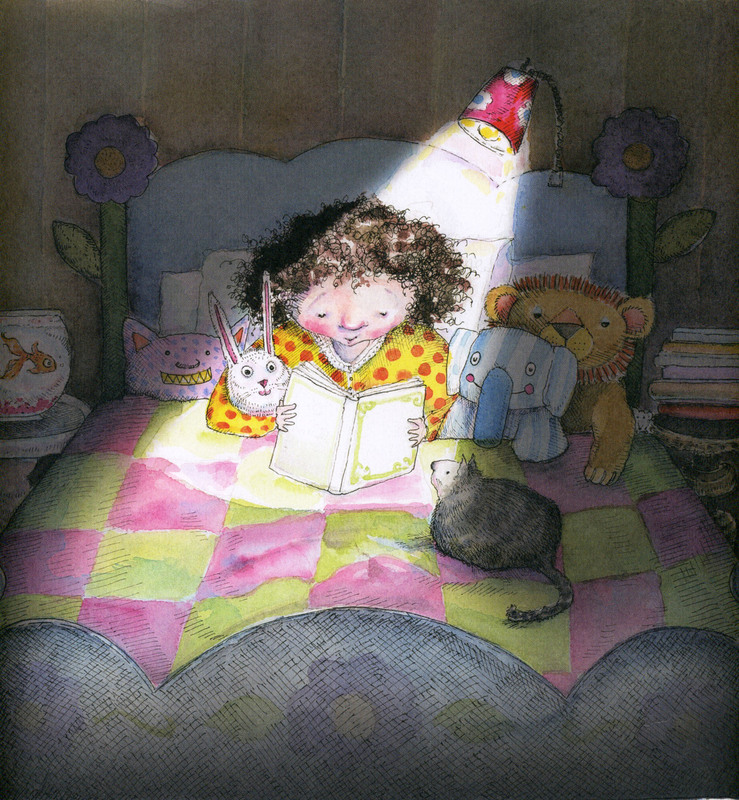 Jennifer is the illustrator of several acclaimed picture books. Most recently is Gondra's Treasure, written by Newbery award winner Linda Sue Park. 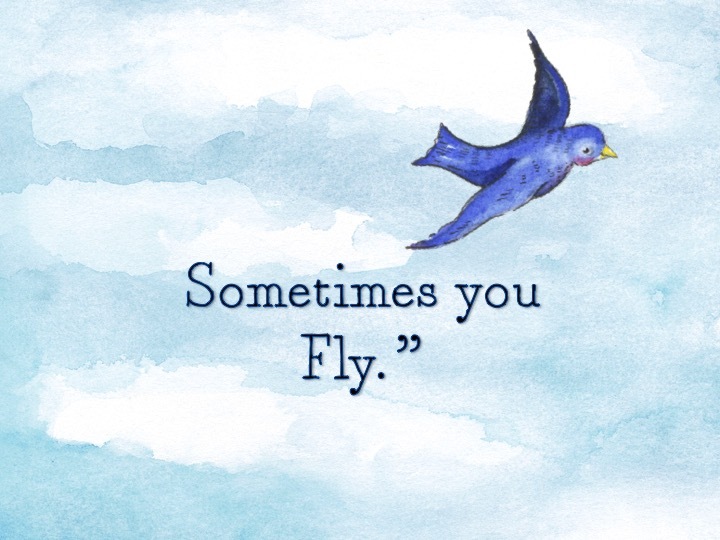 Another recent release is Sometimes You Fly, by Newbery medalist, Katherine Applegate. 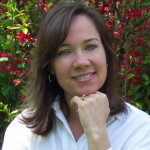 Jennifer is the author illustrator of Blue Ethel and has illustrated Yaks Yak, Animal Word Pairs by Linda Sue Park, The Inventor's Secret, What Thomas Edison Told Henry Ford, by Suzanne Slade, Rabbi Benjamin's Buttons, by Alice B. McGinty, and The Adventures of a South Pole Pig, by Chris Kurtz. 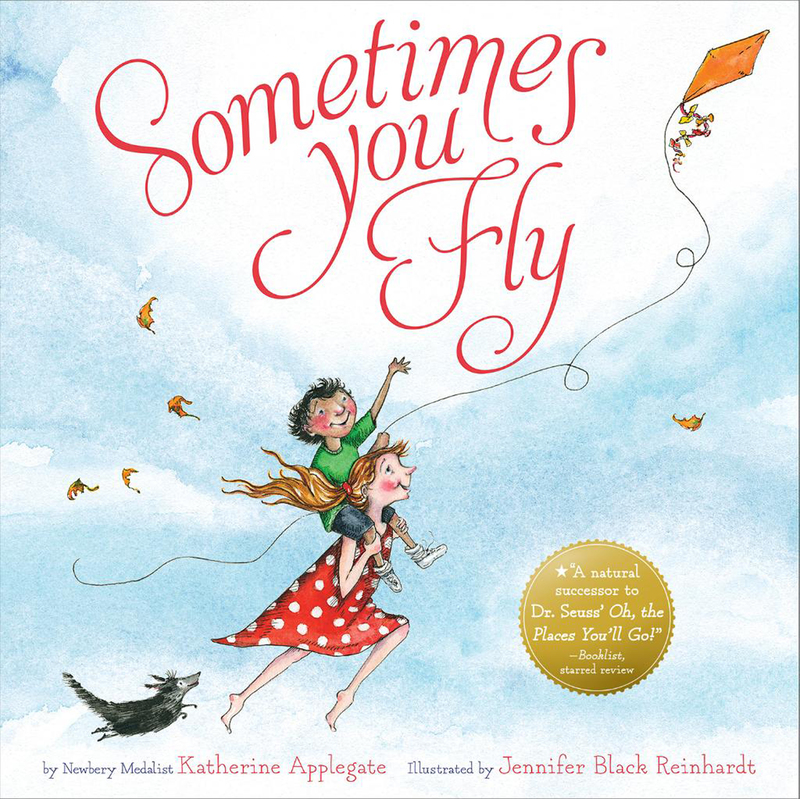 book giveaway, giveaway, Jennifer Black Reinhardt, Katherine Applegate, Sometimes You Fly. Bookmark. This is beautiful. I look forward to meeting the book in person! Thank you, Cindy, I hope you like Sometimes You Fly when you do! Thanks so much for this post. Reading about Sometimes You Fly, is such a wonderful way to start the day! I hope you have a wonderful day, Mary, thank you! I can’t wait to get this book in my hands! The illustrations are beautiful! Thanks for sharing your process. Hi Rose, thank you so much! I think I will end up buying multiple copies of this book, it looks beautiful. Congratulations! Nice to see you, Patti, thank you! As a grandmother with one grandchild questioning where he fits – I can’t wait to get this book! Hi Kim, it’s so wonderful that you turn to picture books to help your grandchild. They are a powerful resource and a testament to why we need to support them and our libraries! Thank you! Katherine’s words are beautiful and they absolutely come to life through your pictures, Jennifer! Can’t wait to read this book! What a lovely compliment! Thank you, Judy, I hope you like the book when you see it! This is sure to be a classic! The words and pictures work beautifully together. Congratulations Jennifer. Hi, my friend, thank you!!!!!!! Can’t wait to read it. Love the premise! Thank you Tina, and thank you for visiting and commenting. I hope you like SYF when you see it! Have heard many amazing things about this book! Thanks for the chance to win it! Oh goodness… hope it lives up to them, Michelle! Thank you for visiting and commenting— good luck! Oh Linda, I was such a fan having fallen in love with The One and Only Ivan years ago. It really is such an honor to be attached to her work. I hope I did it justice and you like the book. Thank you! Oh wow, what an amazing book. Thanks for the behind-the-scenes look at things from both perspectives, and at different stages. Fascinating! I can’t wait to read this. Sounds like one that I’ll want to pore over again and again. I hope so, Kellie! Thank you for visiting and I really hope you like the book! Elizabeth, thank you for your kind words! I hope you love SYF and I’m thrilled that you are an Ethel fan. Thank you so much for your support! This sounds, and looks, like an absolutely incredible book. I can’t wait to read it. I hope you like it, Linda! Thanks for visiting PBB today! What a beautiful book, Jennifer! Congratulations! Beautiful book! Love the text and the illustrations! Congratulations! Thank you for your kind words and for visiting today, Angie! I’m so happy you like the book! Wow, your illustrations are beautiful for this book! Congratulations! That’s so kind of you to say, Jennifer. Thank you! This looks like a book that will be a perfect gift for lots of occasions from births to college graduation. It sounds and looks beautiful. Thank you, Cindy. I hope all ages can see themselves in this book. Thank you for visiting and commenting! This looks beautiful! I’ve just reserved a copy at my library. Hi, Heather! I hope you like it when you see it! Thank you! Wow, I love this so much and I haven’t even read the book yet! Can’t wait for this. Congratulations, Katherine and Jennifer! Thanks, Katrina, I hope you like it! Thank you so much for the congrats. This book is very near and dear to my heart for many reasons. I’m curious, at what stage did you decide to show multiple narratives through the art instead of one continuous one (except for the beginning family…and I love that it ends with them, too!)? And why? Hi Katrina! I’m so happy that you like our book and also a big THANK YOU for the shout outs on Twitter! That’s a great question. At first, I thought it should be one family. But when I thought about how everyone would have to age and wondered if that be always visually clear? When I mentioned that to my editor she said, “I thought they were all different children!” So, that’s the direction we went in. I liked having the bookended family as well as the kids on the cover and the case re-appearing at the very end to show how they apply what they have learned and are persistent. Again, thanks so much, Katrina! Can’t wait to read this book! Looks just so lovely. Hope you enjoy it, Debra! Thanks! This looks so inspiring! I can’t wait to receive. Love the illustrations. A great post and perfect inspiration to start the day! Many thanks! 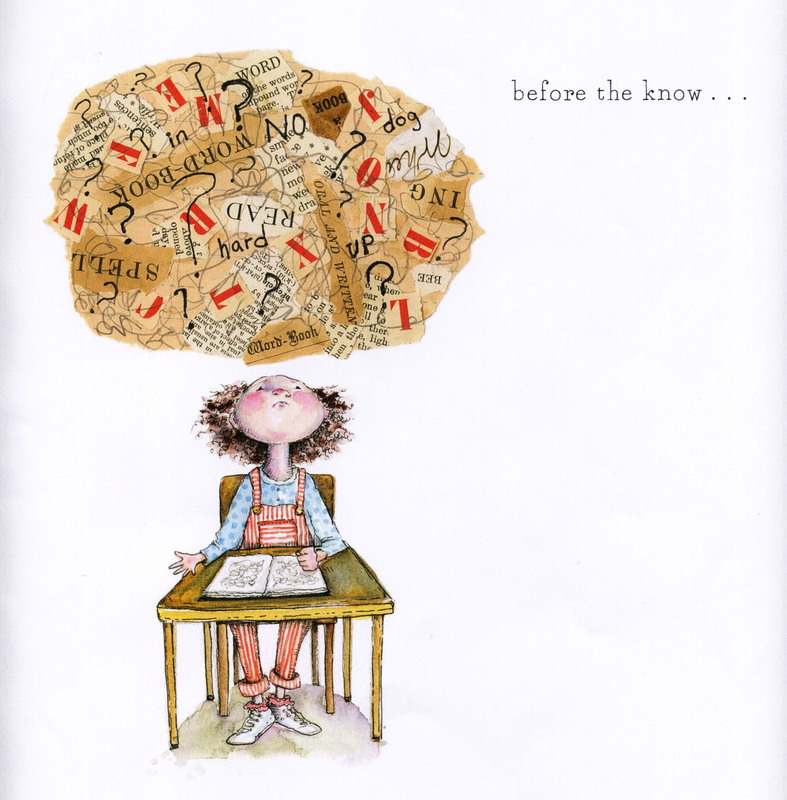 I love Jennifer’s illustrations and the book preview seems wonderful. Can’t wait to read it to my nieces and nephews. This is so nice of you to say, Lynn, thank you! I hope you enjoy the book! Love, love, love this so much!!!! You are awesome, Katie! Thank you! I love this concept and the reminder to all that failure is just one more step toward success. I bet this book will fly! off shelves. Thank you so much for your kind words, Kathy. You’re exactly right, it’s the part before the cake that’s the important part of life! Have a wonderful day! I enjoyed this interview and loved seeing the perspective of developing a picture book from both author and illustrator. I’m still trying to figure out how much text to include in my manuscript and what to leave out. The trailer is fantastic. I can’t wait to read this book for myself as the message applies to all ages. Thank you so much for visiting and commenting, Danielle! Tomie DePaola says something to the effect that a well-written manuscript is one that leaves space for the illustrator to tell their part of the story. And remember that what you are struggling with, re: too much or not enough text, is exactly why editors are so amazing! Good luck with your ms! A wonderful story about what looks like a wonderful book. Gorgeous illustrations (congratulations!). And I have been a fan of Katherine’s from the beginning, and look forward to another exquisite book. Hi Carol! Like you, I have been a Katherine fan for a long time, too. I felt like I won the lottery when I was asked to come on board with SYF! I hope you like the book when you see it. Thank you! This was really fun to read about how the title changed and the challenges the illustrator had to overcome. Looking forward to seeing the “after” product! Hi Kathy! I like to point out the changes that go on in book making because they’re such a normal part of (as my agent says) ‘that book’s journey’. It’s ironic that that exact message is what this book itself is about! Hope you enjoy it! Lovely review of what looks to be a beautiful book! Can’t wait to read it. Thank you, Patricia! I hope you enjoy the book! Wow, this books looks wonderful. I bet it’ll “fly” off the shelves! Congrats on another success! The melody of text and illustration sings so beautifully here. I can only imagine how the complete book must soar. Congratulations! What a nice thing to say, Cathy, thank you! I hope you like Sometimes You Fly. Have a great day and thanks for visiting and commenting! I loved hearing you share at Prairie Lights on Sunday, Jennifer! This is a lovely book on so many levels. Congratulations to you & Katherine Applegate. You are such a wonderful and supportive friend. Thank you, it was terrific to see your lovely smile! And I am so happy that you like the book. That means a great deal to me!!!! Reading this post and watching the trailer I thought of a quote by Tennyson; The shell must break before the bird can fly…” Thank you for the inspiration. Ahhhhh! Terri, that is beautiful! Thank you for sharing it! Thank YOU, I hope you have a wonderful day. This book sounds delicious. Thanks for sharing, I have it on order! Hope it’s as good as cake! Thank you, Susan! This looks fabulous! I can’t wait to read it. Congratulations, Jennifer and Katherine! Thank you, Terry! I hope you enjoy it and thanks for visiting and commenting! What a great book you both created! I love seeing how the author and illustrator work and rework their contributions that make an outstanding picture book. Thank you, Jennifer and Katherine. I look forward to reading it! Hi Dorothy! I like to point out the revision process because it’s as much a part of bookmaking as the writing and illustrating. I hope you like the book, thank you! This looks A-MAZING! Congrats and thanks for the sneak peek into the creation process. Lori, thank YOU for stopping by Picture Book Builders! Loved reading about the careful, beautiful collaboration that took it’s own sweet time. Perfection never comes easily. It made me think of ALBERT by Donna Jo Napoli and Jim LaMarche. “it’s own sweet time”, exactly Karen! 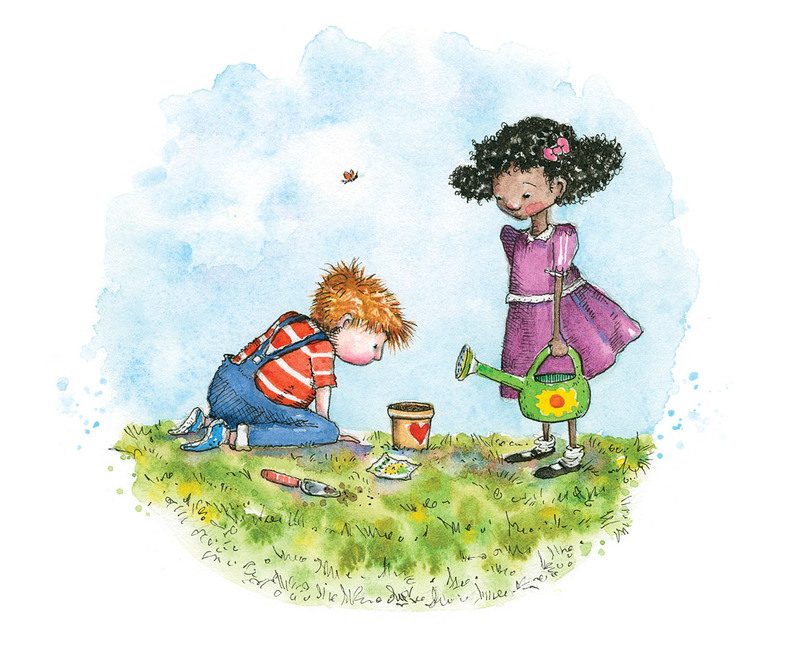 I’m not sure I believe in perfection, especially when something as subjective as art is involved, but I think if we can create a picture book that people can relate to, connect with, and enjoy, I will feel successful. Thank you so much!!!! OMG — just love everything about this book. Best of luck to you both! Why thank you, Lynne! Thanks for visiting and commenting! Jennifer, I am so pleased to have found your blog. What a beautiful project and such a great message for children and adults alike! I really enjoyed reading about the process and am looking forward to getting my hands on a copy of this inspirational book. Hi, Colee and welcome! I’m so glad you found our blog and that you’re excited to read Sometimes You Fly. It was really fun to work on a book that is written to be a picture book for all ages. 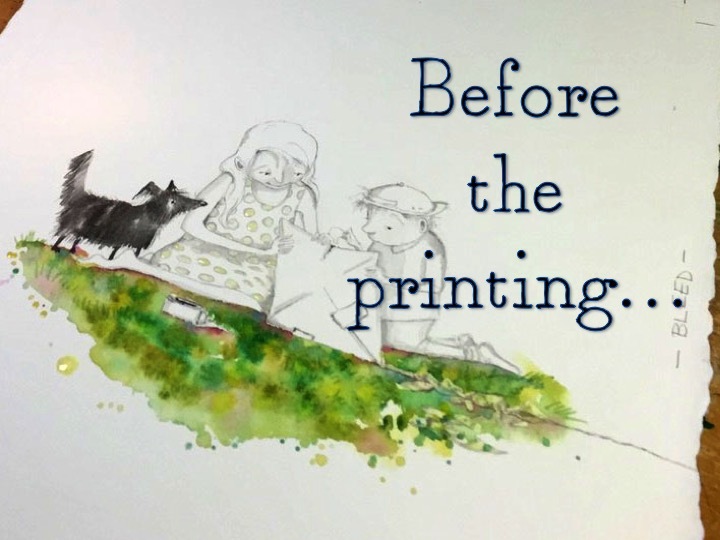 I believe that picture book making is an art form and not just meant for children. It was extra-exciting to work on this project because of that! I love Katherine Applegate’s writing so I know I’ll just love this book too! You and me both, Linda! And I do hope you like the book when you see it. Thank you!!!! Oh, my! What a gorgeous book! Thank you, Kathy! Good to see you, thanks as always, for stopping by PBB! What a great message to share with kids. Can’t wait to read this beautiful book. Thanks for sharing! I hope you like the book, Mary! Thanks for visiting today! This is a must have book! Hi Rosemary! Thank you so much for saying that. Hope you like the book and thanks for visiting today! I love this book already – the words and pictures work so well together, and the important message is presented in such a beautiful way. I have a feeling this may become my favorite book! Well Colleen, that would be a super amazing compliment! I would love it to come true. Thank you so much! This gives me goosebumps! I just love your illustration style, Jennifer! What a wonderful bird’s-eye view you’ve given us. May the book take flight to great heights. What a wonderful compliment! Thank you for your kind words here and for tweeting about our blog and this post. Your support is very appreciated! Wow, this looks really powerful. And whimsical at the same time. I can’t wait to see it in person. Hi Lynn, that’s such a nice statement, thank you, I hope you like the book when you do. Thanks so much for stopping by today! 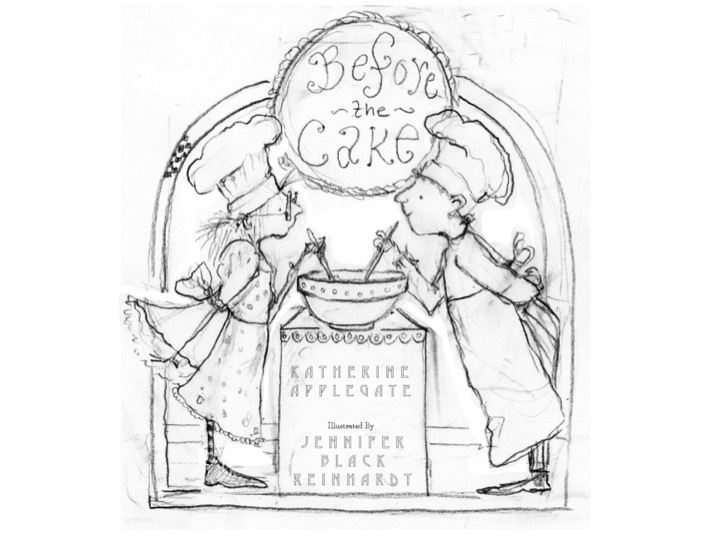 LOVE your art, Jennifer, and I LOVE Katherine Applegate’s writing. The One & Only Ivan is truly one of my most very favorite books (I am a fan of Bob the dog 😉 ). I cannot wait to read this–congrats to you both!! I would love an art print and a copy of the book–fingers crossed :)!! Hi Maria! Thank you for you kind words of support. I hope you like the book when you see it! Thanks for commenting and good luck with the drawing! Hi Jen! I might be biased, but I think so, too! Thank you for visiting here today! This is a must have! The words and illustrations are beautiful together. Looking forward to reading it. Thanks so much, Judy! I’m happy you took the time to visit PBB today and I hope you enjoy the book when you read it! What a wonderful book! I like hearing about both your processes of making the book. The use of the vignette before the page turn and the bordered art after the page turn is so clever, Jennifer – moves the reader from unfinished to finished. Congratulations on a lovely book! Thank you so much, Patricia! I appreciate your kind words! Gorgeous. This seems like a heartfelt, moving book. Jennifer, I’m a big fan of your work. Love your quirky characters, fanciful settings, thoughtful layouts, and ephemeral touch when it comes to elements like wind/smoke/sky/clouds. Oh my, Heather! I might need to print that out and stick it on my drawing board for encouragement! Your kind words mean a great deal to me, thank you! This looks stunning! I can’t wait to get a copy. Thanks for the peek into the crafting of a beautiful book. 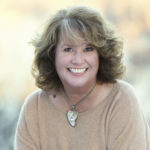 Hi Debbie, thank you so much for visiting our blog today and taking the time to comment! Beautiful! Looking forward to reading it! Hi Charlotte, I hope you like the book when you read it. It certainly was wonderful getting to work on it! Thank you! This looks beautiful – both words and art. Hi David, thanks so much! I hope you enjoy the book when you see it! I love anything and everything by Katherine Applegate! The illustrations are very charming . . . I can’t wait to read this! Thank you, Stacy! Hope you love Sometimes You Fly when you see it! Thank you Jennifer for sharing this book!! Oh thank you so much, Mary! I’m glad you like it! What a beautiful message – one I needed today! Thank you, the struggle is real – today was not my day to fly, but I’ll keep my eye to the skies 🌈☀️. I’m sorry it wasn’t a good day for flying, Monika. But it will come ❤️ Thank you for visiting and commenting! Oh, my goodness, this looks like a perfect picture book. Congratulations to you both. Hi Lindsay! Well, probably not perfect, but I sure hope you like it! Thank you!!!! Wow! This is the number one book on my to get list! The trailer did it forme. Thank you! Hi Kathy, hope you like the book, thank you!!!! love process, love process, love process — these types of post are so wonderful! Thank you, Quinette! 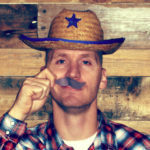 I love to hear process stories, too. Makes me feel like we’re not alone. Thanks for visiting and commenting! This books looks incredible! Congrats! What a beautiful book! A must-have! I hope you like the book my friend, thank you! I absolutely love the premise and this post about how you carried it out! Super! Maybe it’s because I just wrote a post about my revision process for my debut PB. Soooooo much happens before the “cake.” And the collaboration is so interesting. Thanks! Ordering pronto! Hi Beth, congratulations on your picture book! How exciting!!!! I’m glad that you enjoyed this post and I hope you like the book. Thanks so much! What a wonderful and beautiful looking book! You’ve already made this a book that I can’t imagine anyone else illustrating but you. Can’t wait to see this one in person. Wow, Mike, the illustrator knows the nicest thing he could say to an illustrator! Thank for that very kind compliment! Hope you like it when you see it. And thank you again! I love how your illustrations match the quiet, poignant feel of the story. I can’t wait to add it to y shelves! Congratulations! What a lovely thing to say, Julie, thank you! This looks absolutely beautiful – both the illustrations and text, as well as the important message, which is just as important for adults as kids! Congratulations on this inspiring creation and thank you for the sneak peek! Thank you Amanda! I hope you enjoy the book!!!! I can’t wait to have this book in my hands. 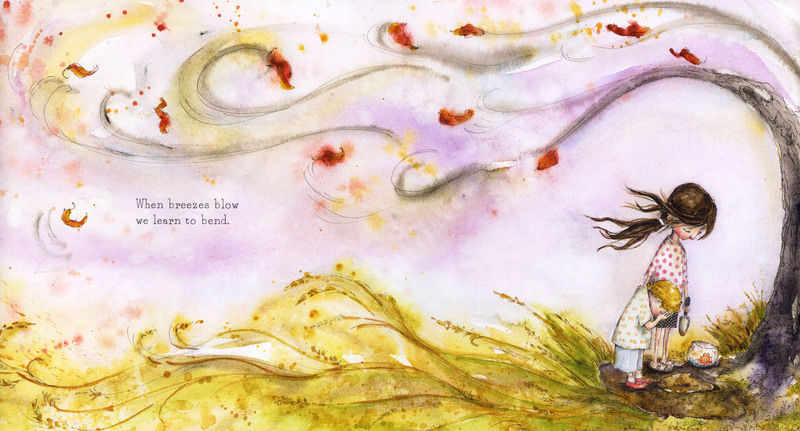 Gorgeous illustrations to go with beautiful, poignant words. A perfect pairing. Congratulations Katherine and Jennifer!!! Thank you so much, Judy! I’m honored to be a part of this book. I hope you like it when you see it! I love books that teach us as well as our readers. This is an important lesson. Thank you! Hi Sandy, thank you for visiting Picture Book Builders. I hope you enjoy the book! Thank you for sharing! I had not heard of this book. Sounds beautiful. Can’t wait to read it. I hope you like it, Darshana.Thank you for visiting and commenting!!!! I cannot wait to read this beautiful book. Thank you for sharing the journey…before the publishing. Inspired! Hi Joyce! Thank you so much— I hope you enjoy the book! I cannot wait to read this beautiful book. Inspired to Read the journey…before the publishing. Oh, thank you so much, Lori! I’m so happy you like it! Wow! Loved hearing about the process–especially that 11th hour title change. Good grief! Hi Denise, thank you for taking the time to visit and comment. Each book has its own journey, that’s for sure! This looks so good. Looking forward to seeing how the page turns work. Love the title! Hi Mary, I hope you like the book when you see it! Thanks for visiting our blog! Lovely article about a lovely book! I I enjoyed seeing how the illustrations worked and ended up adding so much to the book. Thanks! Hi Pamela, I’m so glad that you enjoyed the post and hope you like the book. Thank you! The artwork for this book is beautiful. Thank you for the inside scoop on how a book comes together. To me it seems like magic. Hi Heather, truly it ‘seems like magic’ to me, too. To be working with people who love books as much as I do, and to get to be a part of that process will always be an amazing blessing that I will never take for granted. Thanks for your comment and for visiting PBB! Wow, both of you really tapped into something so necessary… I am trying to teach my son this exact lesson…and your lovely book seems to do it in a poignant and accessible way that I am sure kids and adults will respond to. Hi Susan, I am very, very proud to be part of a book with such a beautiful message. Thank you for your kind words!